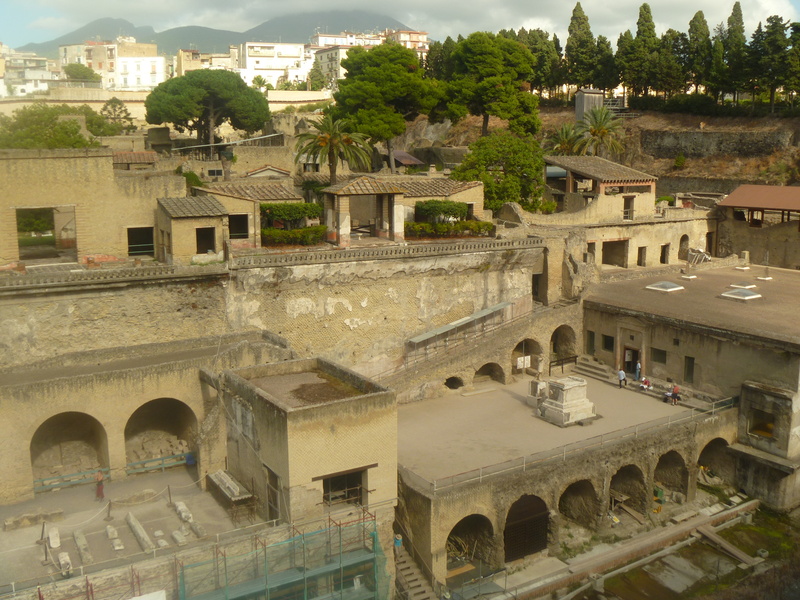 Never have any historical sites blown my mind quite like Pompeii and its smaller neighbor Heculaneum. The vast array of ruins spread out before me from a civilization that suddenly ceased to exist is simply unbelievable. Buried under 30 feet of hot ash from the eruption of Mt. Vesuvius in AD 79, they have laid perfectly preserved until excavations began in the 18th century. Much is left to see and investigate, including some still partially imbedded lead pipes once used for the water supply. Elegant tile mosaics, colorful frescoes’ and brick walls bring dimension to these ghost cities. 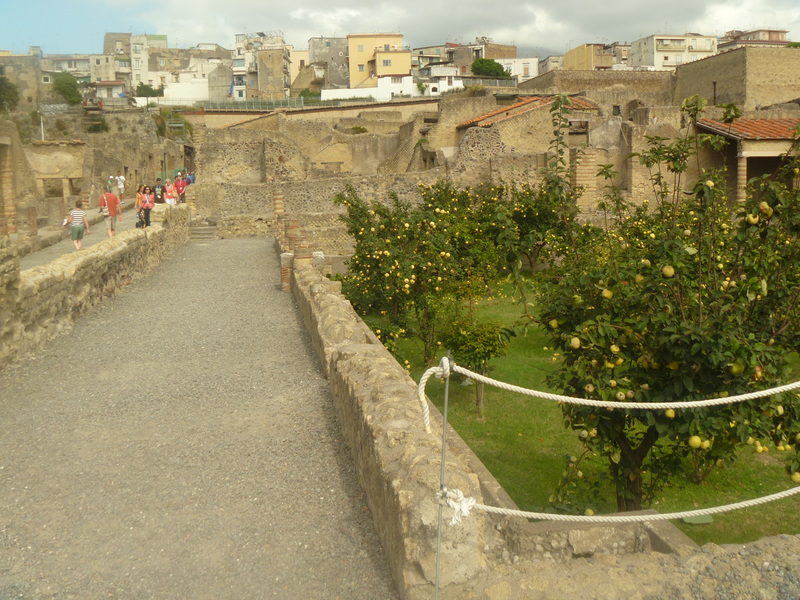 It’s obvious that Pompeii was a thriving harbor town in its time. It’s obvious that Pompeii was a thriving harbor town in its time. In recent years, walls have crumbled and collapses continue to occur. 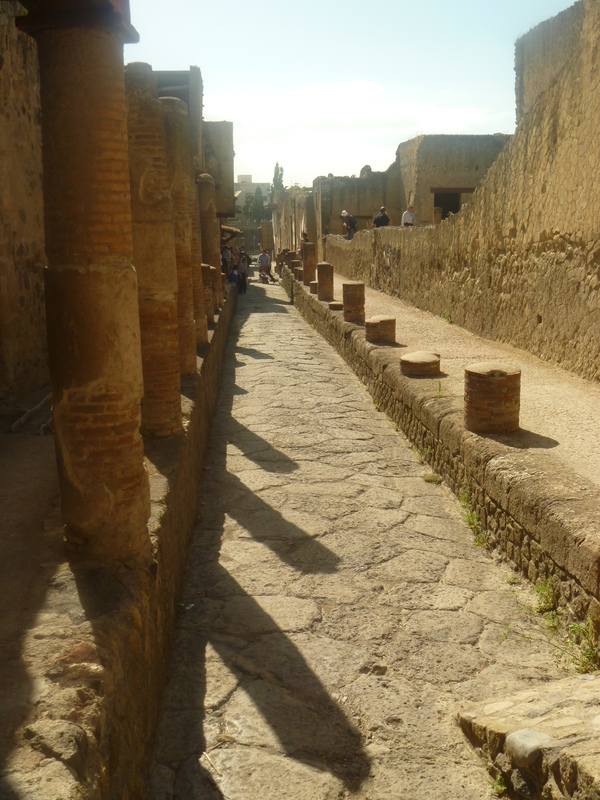 Because the ancient Roman city is seriously exposed to the elements, it is constantly in a state of emergency. 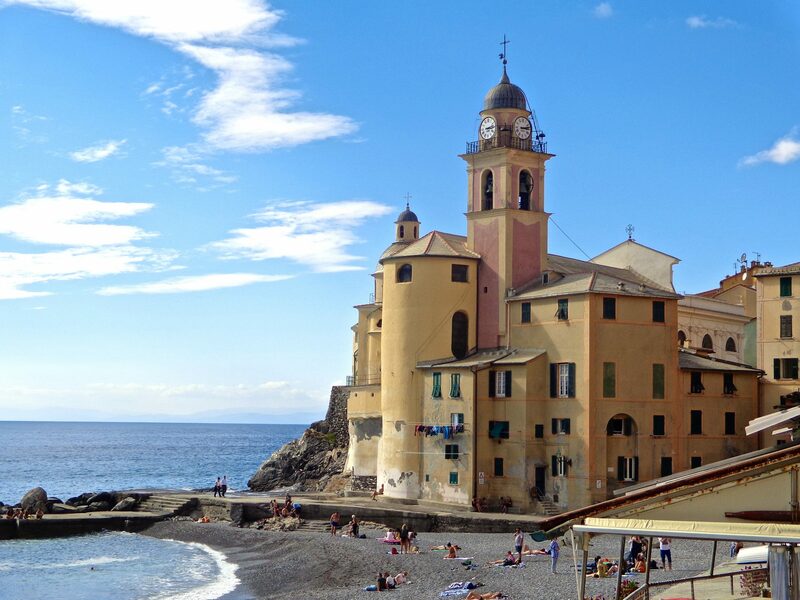 This UNESCO World Heritage site, one of the biggest and most important sites in the world, happens to be located in an area with one of the highest concentrations of organized crime in all of Europe, according to Fabrizio Barca, minister of territorial cohesion for Prime Minister Mario Monte. 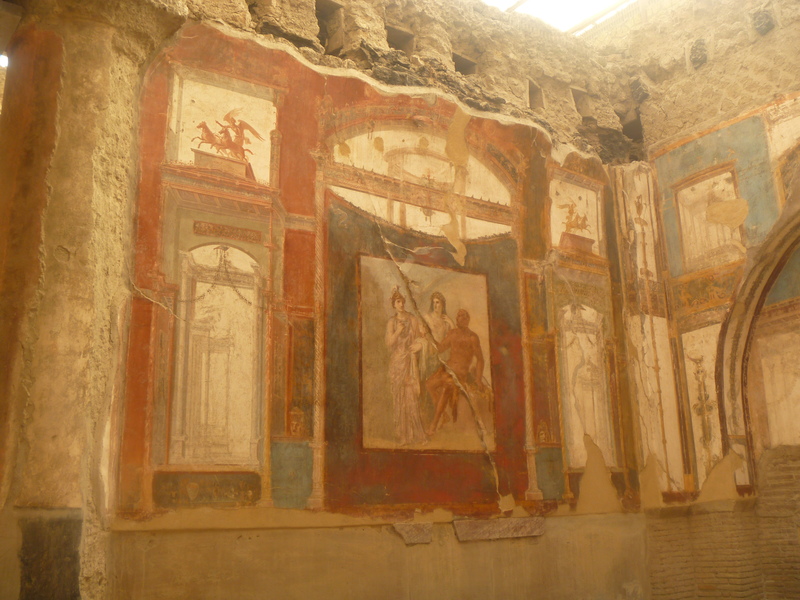 The Great Pompeii Project, which began a $137 million effort by the European Union, has been an effort to preserve Pompeii and also make it accessible to the public. It strives to support a culture-driven society against perilous odds. Bureaucracy has been a constant challenge. The result is a lack of strategic planning and the limited personnel of the site’s troubled management. Conservators who attempt to impart a plan of systematic maintenance of the 163 acre site are thwarted by emergent temporary repairs of crumbling walls and water-damaged frescoes. 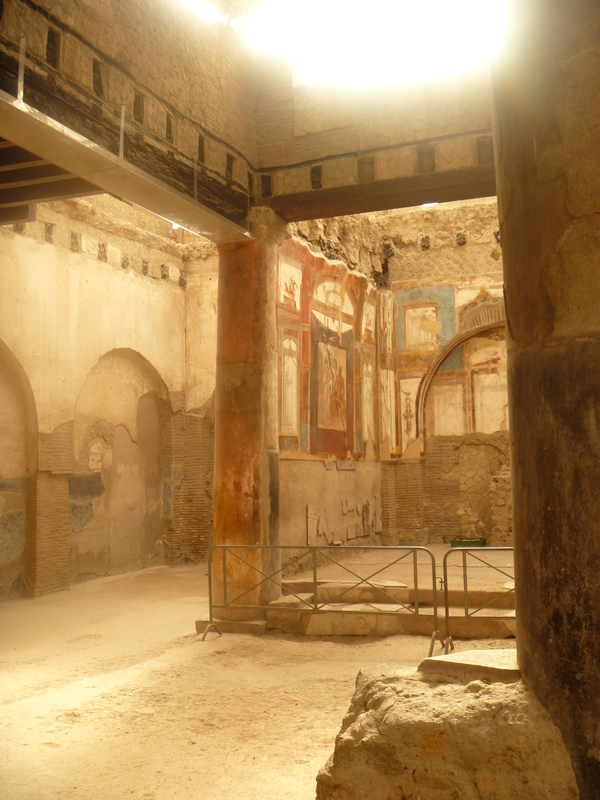 Fortunately, many of the artifacts found in Pompeii are safely tucked away in Naples Archaeological Museum to be seen and enjoyed by the public. However, Pompeii offers the best look anywhere at what life in Rome must have been like around 2,000 years ago, providing archaeologists volumes about daily Roman life. 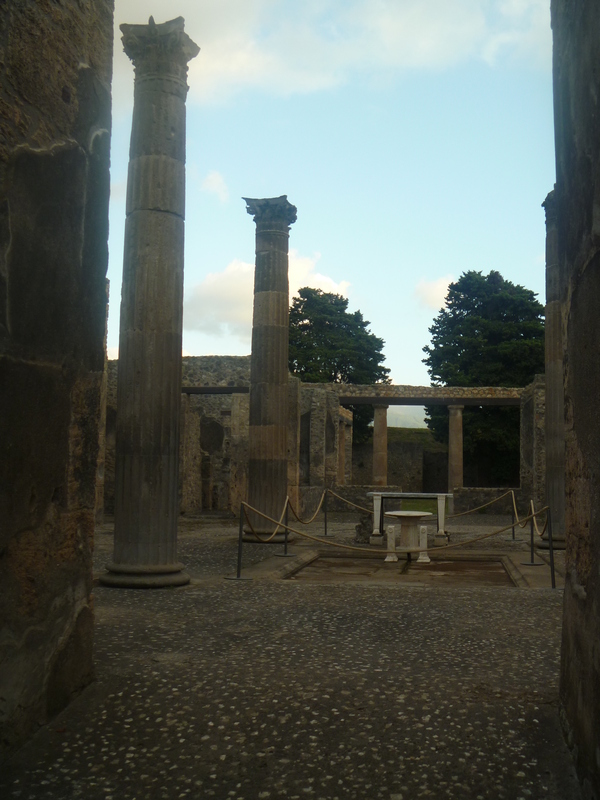 Walking through Pompeii is like taking a stroll through the ancient past. It’s easy to imagine the hustle and bustle, chariots clattering down the stone streets, people grouped together in conversation, shopkeepers, foreigners, sailors and city administrators, all mingling to create a famous commercial port town…..the crossroads of many civilizations.